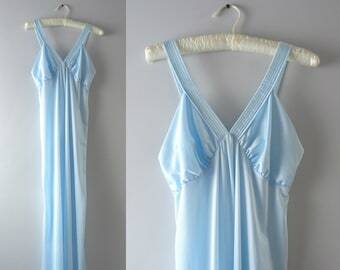 Vintage 80s nightgown in richly colored teal nylon. 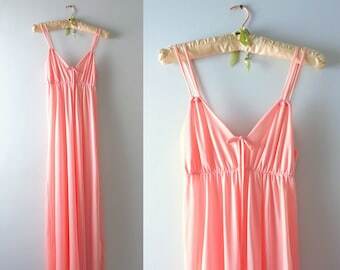 Adjustable keyhole bodice which ties at center bust. Floral lace detail along the neckline and bust cups. The quality nylon has a nice sheen and is slightly heavier than some nylons making it non-sheer. Full length. Waist - free up to 42"
Hips - free up to 54"